After a successful tour last fall, German electro-group, Kraftwerk 3-D will return with their innovative 3-D shows this fall with another jaunt across the US. So far, 9 stops have been mapped out as the group will visit Washington DC, Atlanta, Memphis, New Orleans, Dallas, San Antonio, Phoenix, and San Diego, before they finish their tour in Los Angeles at the Hollywood Bowl. Tickets go on sale April 29 at 10 AM local time for non-Los Angeles shows, which will not be available until May 1 at 10 AM. 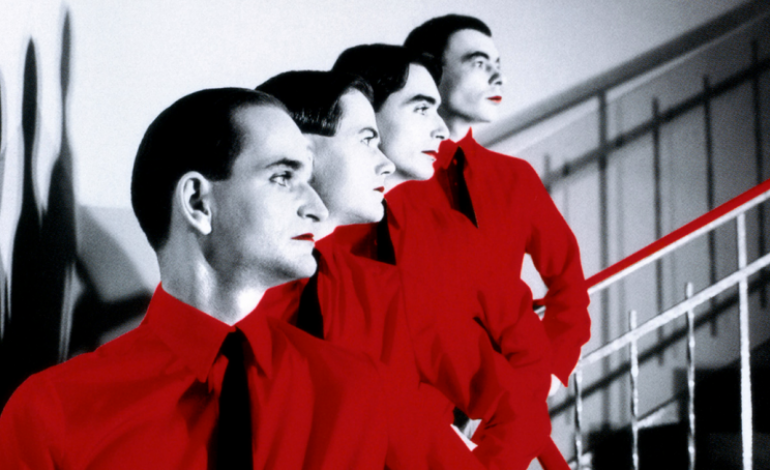 Conceived by Ralf Hütter and Florian Schneider 1970, the Kraftwerk project is a creation of electronic soundscapes and compositions using synthetic voices, computerized rhythms, and creative techniques that influenced a wide range of genres to follow: electro, hip hop, techno, synthpop are some of the most commonly noted. The current members of the project – Ralf Hütter, Henning Schmitz, Fritz Hilpert, and Falk Grieffenhagen – use their music to extol their views and beliefs in humans and machine working as one. The projects has been highly accomplished throughout the years: their highlight performances include those at The 3-D concert series at the MoMA, Tate Modern Turbine Hall in London, Akasaka Blitz in Tokyo, Sydney Opera House, Walt Disney Concert Hall in Los Angeles, Louis Vuitton Foundation in Paris, and Neue National Galerie in Berlin. In 2014, at the Los Angeles Grammy ceremony, Ralf Hütter was honored with the Lifetime Achievement Award. Check out their full tour schedule below.